Pro Carton is excited to launch its latest initiative and to invite you all to participate in this rewarding opportunity. 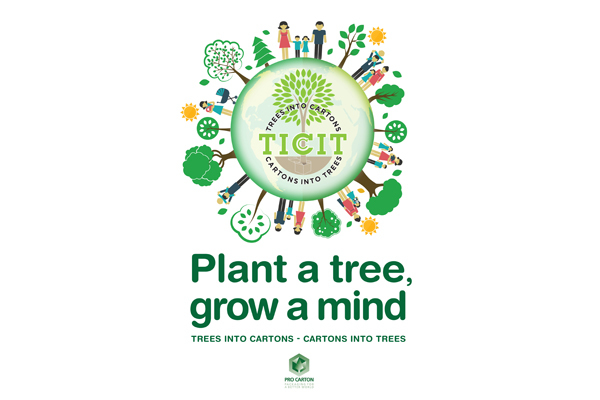 TICCIT is an educational outreach programme aimed mainly at children aged between 8-11 years that is all about trees, sustainability and the environment – and it’s incredibly worthwhile for you, your company, your community and the industry. And what’s more it’s fun! The programme was originally launched by the Paperboard Packaging Council in America where it has proved to be a great success, with over 100,000 children taking part to date! Following a trial run of the programme in the UK and the Netherlands, the TICCIT programme is now launching Europe-wide. TICCIT lets you roll up your sleeves and make a difference in your community. The idea is that you make contact with your local primary schools where you (or the teacher) will teach the kids all about trees, recycling and paper. The easiest place to start is with the schools that your children and your colleagues’ children attend. From the trials we’ve done they will welcome you with open arms. We have a presentation, notes and activities ready to go, but we’ve left the most important (and rewarding) part to you: teaching and inspiring the next generation. After you (or the teacher) gives your presentation, the real fun begins. You’ll help the children plant their own tree saplings in a carton. They can take home the tree in the carton and plant them as is – because cartons are biodegradable. The children in your community will witness the “trees into cartons, cartons into trees” cycle complete before their eyes as they grow into the next generation of consumers and environmental stewards. We’ve heard from past participants how incredible it is to see the kids get it – that they can make a difference in this world by recycling and being friendly to the environment. It will be a powerful experience for them, and for you too. You can get more information about how to get involved from the Educational Programme Guide and you’ll see that we’ve provided lots of resources for you to use including a PowerPoint presentation (in 5 languages), posters and stacks of extra support material. 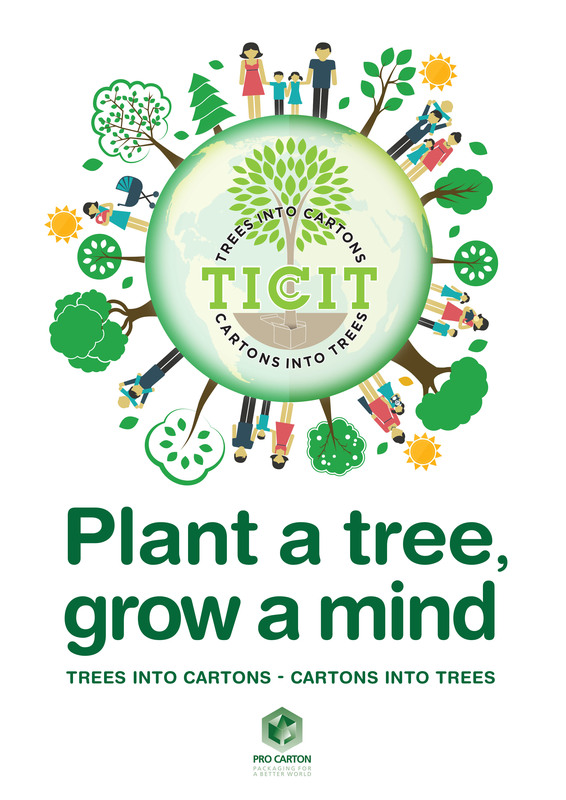 TICCIT is an incredibly worthwhile programme for everyone in the carton industry as it enables you to highlight our environmental credentials and to introduce some knowledge, skills and values to children that can be taken into their future lives. The success of the TICCIT programme relies on members taking ownership of the programme by firstly appointing a TICCIT Ambassador and then partnering with their local schools. It’s good for the kids but also good for your reputation and standing in the local community. But it only works if you get involved!! Visit www.procarton.com/sustainability/ticcit/ for more details and then get started!